Expanding your business territory: In 2015, our word for the year was Amplify. And we did bump up our activity and business productivity throughout the year, accomplishing several short term and long term business goals. One of those goals was opening the The Blog Connection, an educational membership community for bloggers. And others were seeing various ebooks and courses published. We are committed to claiming God's blessing and his presence in our lives, family and business this year as we allow him to bless us and expand our territory. We are looking forward to this happening in a variety of ways that will bring glory to his name and allow us to help rather than cause pain to those in our spheres of influence. All of Jabez' life story and blessing began with a prayer, with him begging God for blessing and for particular, specific blessings. We have committed to praying daily this year for God's blessing on the ministry and business he has given us, asking him specifically for the things Jabez asked for, for the glory of His name. There is alot to be said for asking for “expanded territory”. Jabez was focused in his requests for things to be different and at the same time must needs have been wise to the changes, and organization that would necessitate. More territory in those days meant more servants, wages to pay, mouths to feed, more cattle and livestock, more money, more influence in the community (because territory was a significant determining factor in community influence and responsibility). He had to focus on the plan and be organized and intentional if this was going to work. We are planning for the expansion of our team as our territory, influence and responsibilities expand with our territory. It is exciting to focus on the areas in which our business needs to grow this year and begin to make plans to accommodate that growth. Jabez had evaluated his past. He had caused pain in his life. And because his mother named him “the one who brings pain” he had also received negative or evil in his life. He had surely also made mistakes of his own. He was ready to leave behind the painful past and turn his future around. We cannot change the past in our life, or in our business, but we can learn from it, and allow it to help us make better decisions in the future. We can petition our Lord to keep us from evil going forward and allow us the blessing of praising Him and blessing those we influence in the future rather than being the cause of pain. Expansion of anything doesn't happen without goals and hard work. Just as Jabez prayed for specific requests, we have prayerfully set specific goals before the Lord, asking him to grant them this year. If you don't know in what direction you're expanding, you don't know how to prepare for the expansion or how to receive and care for it when it happens. Goals are necessary to success. The Scripture doesn't mention the details, but whoever recorded the story had taken note of the request and the result and reported “that God granted him that which he requested.” A large part of expanding your business territory is knowing where you are headed and tracking your progress, your set backs and your successes. So as you look expanding your business territory this year, I challenge you to include these 6 things: Prayer, Focus, Evaluations, Goals, Tracking/Reports and Praise in your business plan, and then work hard, be intentional, join a supportive community, and watch what the Lord will do. It's going to be an exciting year! If you want help, encouragement, a safe place to ask questions or a personal coach for growing your business this year, please check out The Blog Connection, our community of online business owners committed to being better together this year as we pursue online business success. This prayer changes so many things, Katie. 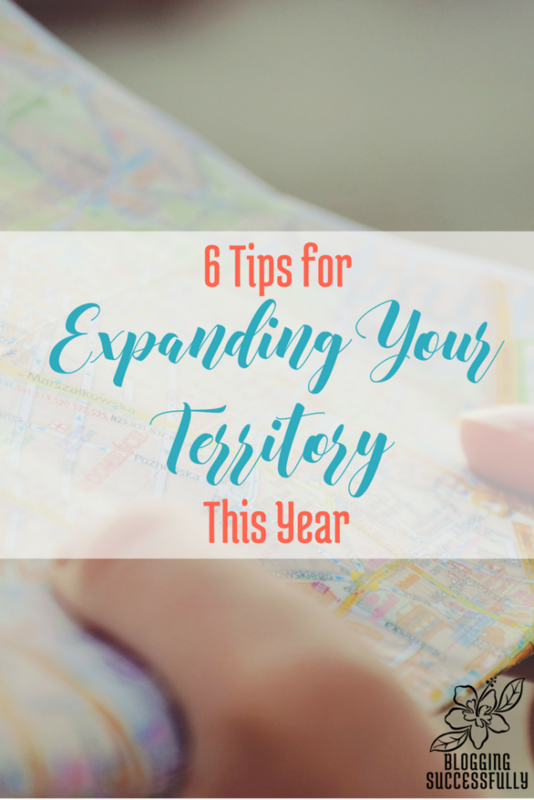 I pray your territory is expanded greatly as you continue to lift His name above all. Love you!